Brian Skerry is a photojournalist specializing in marine wildlife and underwater environments. Since 1998 he has been a contract photographer for National Geographic Magazine covering a wide range of subjects and stories. In 2014 he was one of five photographers named as a National Geographic Photography Fellow. 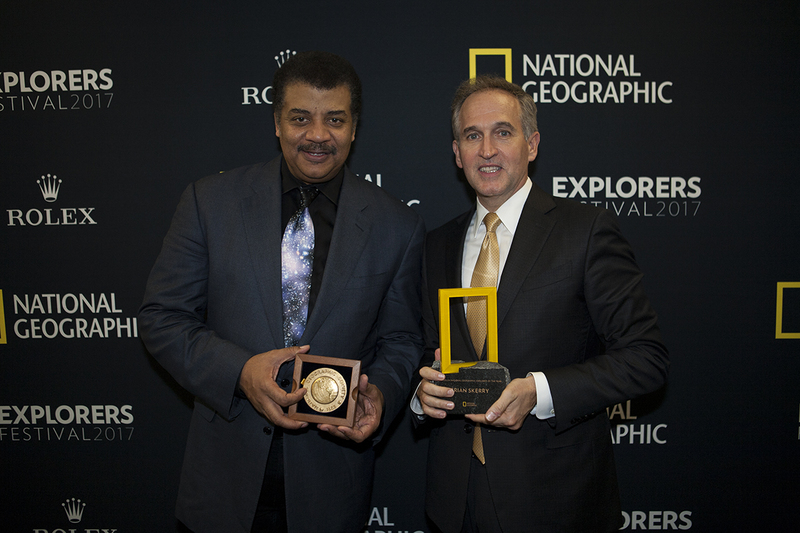 In 2015 he was named a Nikon Ambassador and in June 2017 he was awarded the title of Rolex National Geographic Explorer of the Year. For NGM, Brian has covered a wide range of stories, from the harp seal’s struggle to survive in frozen waters to the alarming decrease in the world’s fisheries to dolphin intelligence, all cover stories. During 2016 NGM published three consecutive feature stories by Brian about predatory sharks. His cover story in the February 2017 issue of NGM, focuses on protecting special underwater ecosystems in US waters. During his coverage for this story Brian produced the first images of a US President underwater. He is currently at work on his 28th story for NGM. Brian’s work has also been featured in publications such as Sports Illustrated, The New York Times, BBC Wildlife, Paris Match, GEO, The Washington Post, The Wall Street Journal, Smithsonian, Esquire, Audubon and Men’s Journal. He is the author of 10 books including the acclaimed monograph Ocean Soul. His latest book, SHARK, was released in June 2017. Brian is an 11-time award winner in the prestigious Wildlife Photographer of the Year competition. He has also been recognized with awards from Pictures of the Year International, Nature’s Best, Communication Arts and is the only photographer to win the coveted Peter Benchley Award for Excellence in Media. In 2010 National Geographic magazine named one of Brian’s images among their 50 Greatest Photographs Of All Time and was awarded the 2016 National Geographic Photographer’s Photographer Award, an honor bestowed by his colleagues. He has had solo photographer exhibits at Visa Pour l’Image in Perpignan, France as well as cities such as Geneva, Barcelona, Lisbon and Shanghai and at the Smithsonian National Museum of Natural History in Washington, DC. Brian frequently lectures on photography, exploration and conservation issues having presented at venues such as the United Nations General Assembly, The World Economic Forum in Davos, Switzerland, TED Talks, The National Press Club in Washington, DC, The Royal Geographical Society in London and the Sydney Opera House in Australia. He’s a frequent guest on television programs including NBC’s TODAY Show and CBS’s This Morning. 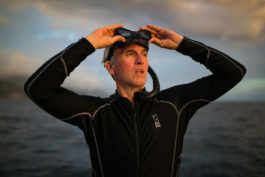 Brian is the Explorer-In-Residence and a Trustee at the New England Aquarium, a founding member of the International League of Conservation Photographers, Director of The New England Ocean Odyssey for The Conservation Law Foundation and a Fellow National of The Explorers Club. 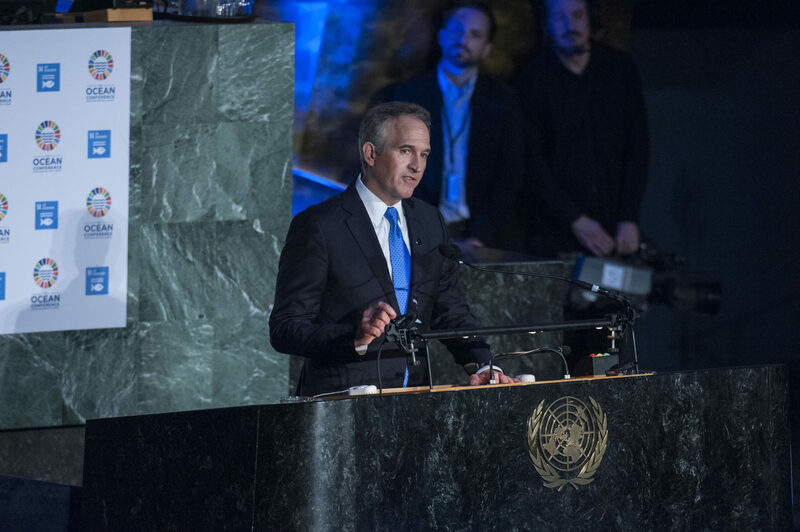 He also serves as a Marine Fellow with Conservation International, serves on the World Wildlife Fund’s National Council and the WWF’s Marine Leadership Council and on the Board of Directors of the Atlantic White Shark Conservancy. Hire Brian Skerry for your project or event.